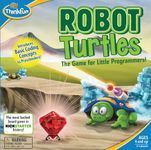 Teach your children the basics of computer programming with this educational yet fun children's game. Condition: Used. Everything in very good condition.